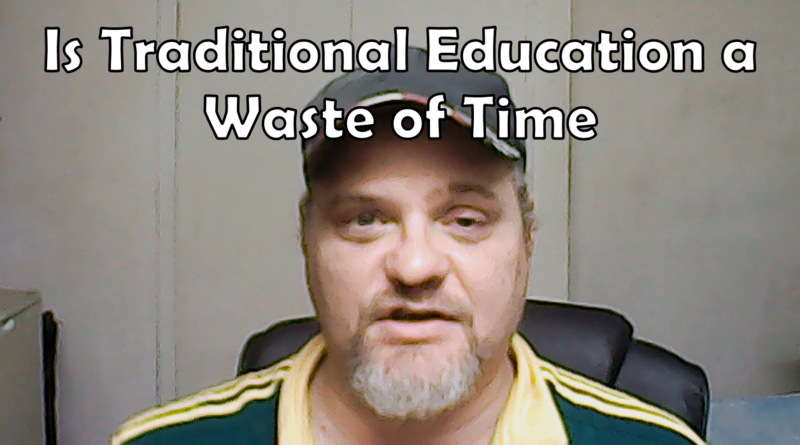 Have you every wondered “Is school a waste of time?” Maybe as a parent you don't because lets face it. Everyone's kid is in school and if yours isn't then what does that say about you. Well what does it say exactly. Probably that you don't care or you have no interest in educating your kin. It may say that but since we live in the 21st century I want to break a few things down for you. Ask yourself this. How sure are you that an “education” will grant your children a Job. It's not that easy to say now days. An education is more about having a piece of paper than anything. I know of loads of my friends that studied in one area and totally ended up in another. Not because they were not educated but because pay today is based on the old system with the industrial age. You work for 10 years, get promoted if you in the same company, then stay until you retire and live off your pension. Pensions hardly exist anymore and if they do they not worth the mony they were. People are finding more and more that security in a Job because of an education you have is rare these days. Maybe you in a job right now and your traditional education has let you down. You've got a degree and a massive load and you still are earning peanuts. Your boss is a fool who doesn't even see you because he's blinded by turning you into a number inn a company. maybe he can see you he's arms are tide because he has no pull with Management. Either way you may know someone who is this position or you are that person. So is school a waste of time. I personally think the school educational system has let people down. If it were not for education I found online I think I may still be working a 9 to 5 and working for an idiot that didn't appreciate me. This way I decide my fate and I'm so please I have so many people I can connect with. If you reading this.. THANK YOU for everything.